← Video: Hearth & Home Thinlits and Holiday Catalog begins Sept 1st! 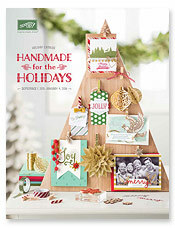 Today is September 1st and that means the holiday catalog is alive and ready to order from! 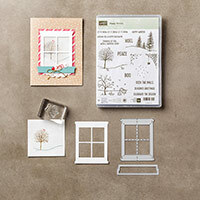 Halloween, Thanksgiving, Winter and Christmas themed stamps and accessories fill the pages to get us paper crafting into the next 4 months. 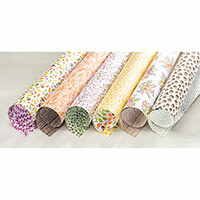 I chosen a few of my favorites for each of the holidays but there are lots more in the catalog of course! 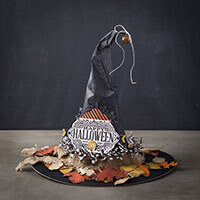 If you like Halloween, I love the Witching Decor Project Kit. 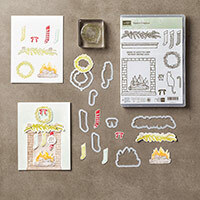 Everything you need to make a really cool decoration that stands 13″ tall. 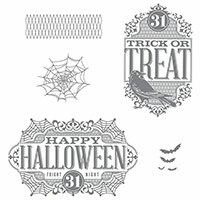 You can also buy the Witches Night stamp set but I think it would look equally spooky with adding a big, glittery spider from the craft store on the spider web doily that is included in the kit. 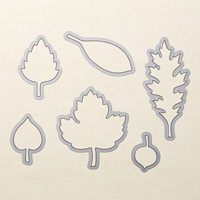 For Thanksgiving and Fall projects, my picks are the Lighthearted Leaves and coordinating framelits. The acorns are growing on me and I’m having fun creating cute corny cards this season. There’s also a cute Thankful Forest Friends worth mentioning, with a folksy bear, fox and rabbit. If I had to narrow down to 3 accessories, it’s these three! 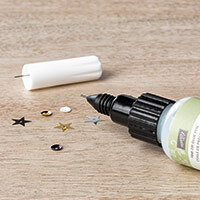 The Fine Tip glue with a little pin in the top to keep it unclogged has to be in every craft room. 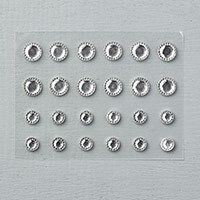 I can get the tiniest drop of glue for a sequin or run a very thin line. 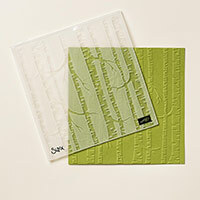 The Woodland Folder isn’t just for fall, it’s for everyday woodsy goodness. And the Iced Rhinestones are extra bling without the bulkiness. And Christmas….golly, how to narrow down this category?! There are 2 Kits that I recommend. One is a tag kit and one is a Shaker Card kit! The shaker kit makes 18 cards. It’s helpful to have the coordinating stamp sets but not totally necessary to make them cute . 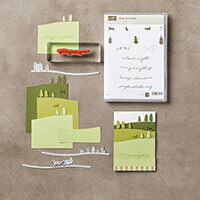 These will be very popular and a great value at 15% off when you buy the stamps & framelits together. The Happy Scenes is probably the most versatile if I had to pick one! 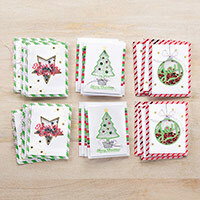 There are delicate ornament stamps and dies, 2 step cardinals and a cute snowman and penguin set, too. 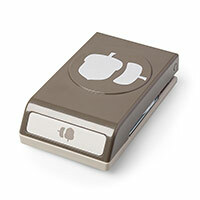 I look forward to stamping this season and playing with it all. I’ll post along the way and hope you will stop by!